Christian Ehler is a Member of the European Parliament (EP) since 2004. He was born on 17 August 1963 in Munich. He holds a degree in journalism and economics from the Ludwig-Maximilian University in Munich (1991) as well as a PhD of political science on the topic of U.S. trade policy (1993). Until 2010 Ehler held the post of Managing Director of Biotech GmbH – a biotechnology centre in Hennigsdorf, Germany. 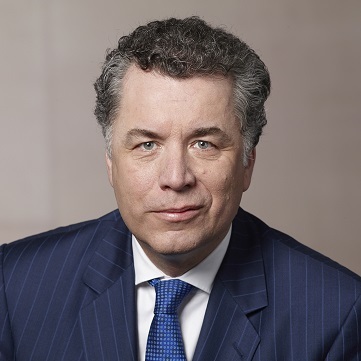 In the European Parliament Christian Ehler is a member of the Committee on Industry, Research and Energy, First Vice- Chair of the Subcommittee on Security and Defence and a substitute member of the Committee on Foreign Affairs. He also serves as the Chairman of the US Delegation of the European Parliament. In 2014 Christian Ehler MEP (EPP) and Pervenche Berès MEP (S&D) founded the Intergroup “Cultural and Creative Industries in Europe”. By establishing the Intergroup in the European Parliament, an open and transparent forum has been created to fuel the much-needed debate on how to ensure a thriving creative economy for the generations to come. Furthermore, he has been rapporteur of the joint report by the Industry and Culture Committee of the European Parliament entitled “A coherent EU policy for the cultural and creative industries in Europe” which has been voted by the European Parliament in December 2016.